The following is an archived recording. Café Hangouts are recorded live every Thursday exclusively for our Double Double, Iced Capp and Espresso supporters of our Patreon. Join to interact with us! 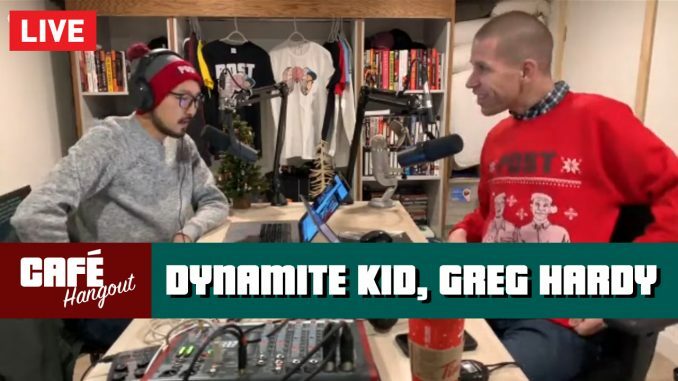 John Pollock and Wai Ting chat the passing of “Dynamite Kid” Tom Billington, UFC’s decision to debut accused abuser Greg Hardy on the same card as domestic abuse victim Rachael Ostovich, Chris Engler joins us for an update on the POST Wrestling’s Year-End Awards and more. Watch this show and follow the live chat on our YouTube channel. If you’re a Patreon patron, enjoy 20% off all items at the POST Wrestling Store for December. Get your checkout code here.